This is something I have touched on briefly in the past with an article called Microsoft Access Functions which introduced you to the popular functions and the tool to generally browse for other not so popular function calls. 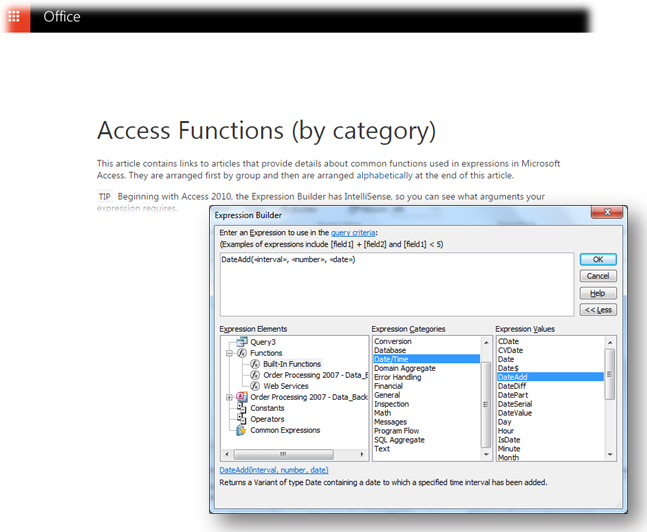 So as a revisit to this topic, there’s no point describing each and everyone that’s at your disposal – that would be silly as we all have different uses for our Access databases but instead you can find a full list (by category) by going to Microsoft’s Office Access Functions (by category) page instead. 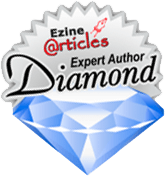 It clearly states that this page contains links to articles that provide details about common functions used in expressions in Microsoft Access. They are arranged first by group and then are arranged alphabetically at the end of this article. TIP Beginning with Access 2010, the Expression Builder has IntelliSense, so you can see what arguments your expression requires. Each function shown has a clickable link drilling into more detail with some examples too and will prove a useful resource over and above the standard Microsoft Access help. Microsoft Access functions can be used directly in a query, form, report and macros but can have a slightly different syntax when using the VBA programming code as a function by definition returns a value and there sits to the right side of another object or variable. Check out my MS Access eBooks and Access utility offers which will certainly use some of the well known Access functions.